55-2977 prior to leaving Downsview, Ontario. 55-2977 with the Army Security Agency, at Fort Huachuca, Arizona. • 55-2977 US Army Delivery date was 28th February 1955. Deliverd to the 521st Engineer Company at Crissy AAF., San Francisco, CA. Noted at Prestwick - EGPK by Neil Aird on 23-May-1964 - Olive drab colours. Transported to Vietnam where in December 1967 it joined the 146th Aviation Company, based at Tan Son Nhut Air Base, Saigon. In March 1971 52977 went into storage with the 388th Transportation Company at Vung Tau, Vietnam and it was scrapped there in July 1971. 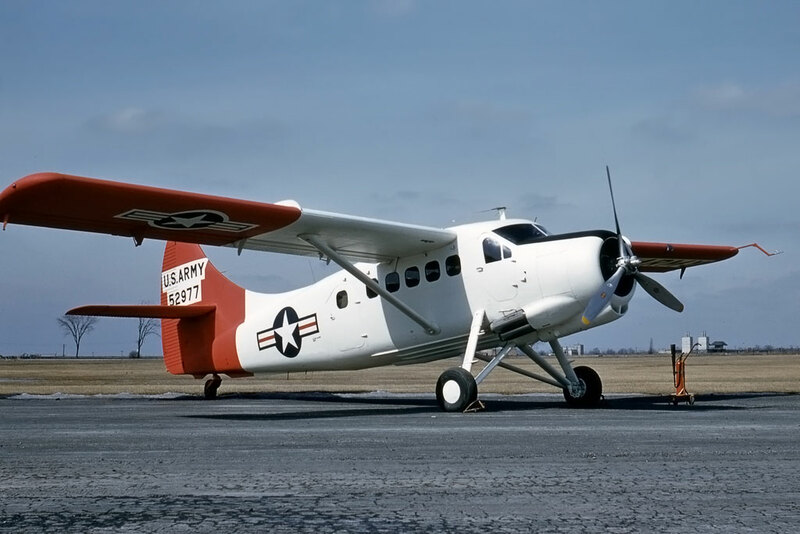 Otter 50 was one of the batch of the first six Otters delivered to the US Army, as explained in relation to number 43. Its delivery date was 28th February 1955 and it was allocated serial 55-2977 (tail number 52977). All six aircraft set off together from Downsview on 14th March 1955 on delivery to the 521st Engineer Company at Crissy AAF., San Francisco. The six Otters then took part in a survey of Alaska during the summer of 1955, returning to Crissy AAF., in September 1955. The following month the unit relocated to the Sharpe General Depot at Stockton, California. The Otters remained in service with the 521st Engineer Company on other survey duties until the unit disbanded in June 1958. Unfortunately it is not known what units 52977 was attached to next, until February 1966 when it arrived at the US Army's Electronic Warfare Laboratory, Lakehurst NAS, New Jersey. It was one of three Army Otters arriving there at that time for conversion to RU-1A configuration, the other two being 53271 and 53315. After the aircraft had been converted, two of them, 52977 and 53271, were transported to Vietnam where in December 1967 they joined the 146th Aviation Company, based at Tan Son Nhut Air Base, Saigon. The RU-1As were used on radio intercept and direction finding missions, electronic intelligence work. 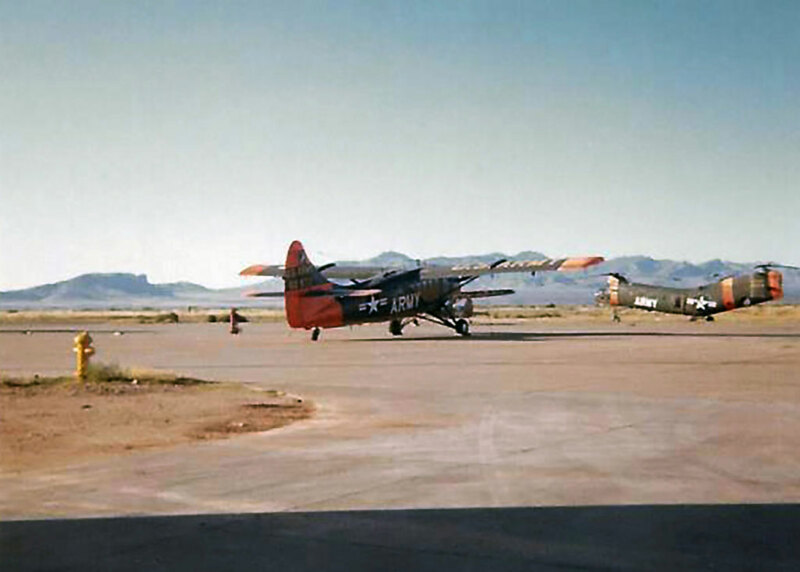 They flew alongside the RU-8s and RU-21s of the 146th Aviation Company. 53271 was shot down over Cambodia on 12th February 1969 but 52977 continued flying with the Company until the Army stopped using the Otter in Vietnam in January 1971. In March 1971 52977 went into storage with the 388th Transportation Company at Vung Tau, Vietnam and it was scrapped there in July 1971.